A controversial personal development company criticized for employing high-pressure recruitment tactics, intense psychological methods and conformist ideology operated within an Alberta Health Services department for more than a year, despite several serious employee complaints. Internal Alberta Health Services (AHS) documents obtained by CBC News through a freedom of information request detail several complaints to human resources from information technology employees who felt pressured, even harassed, to attend Landmark Education Corp. seminars, and to reveal personal details of their lives at the seminars and at staff meetings. Despite this, the documents appear to show AHS did little to investigate the complaints or the company, and instead facilitated Landmark’s operations within the department. “They are manipulative, they are controlling, they involve coercive persuasion,” said Steve Kent, a University of Alberta sociology professor. 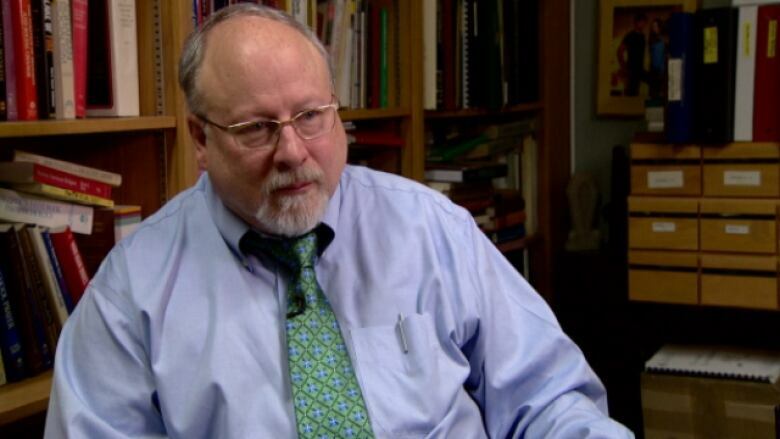 Kent is an internationally recognized expert in deviant ideological and religious groups who has studied Landmark and similar organizations for decades. Kent said many people will say they benefited from Landmark training, or were not harmed by it. Landmark’s director of public relations, Deb Beroset, told CBC News her organization does not employ psychology or ideology in its training. She stressed that “customers” are free to reveal whatever they wish. “There is absolutely no pressure for anyone to speak publicly,” Beroset said in a telephone interview from Chicago. “The course leaders always make it clear that not only is there no obligation to speak publicly, let alone share things about yourself or your life you are not comfortable sharing, but you can also completely get all the benefits of the course without ever getting up and saying anything to the group,” Beroset said. Alberta Health Services paid nearly $650 each for as many as 50 of its IT “executives and directors” to attend Landmark seminars, some even after human resources staff identified serious potential problems. Landmark Education Corp. is a for-profit, employee-owned, private U.S. company with hundreds of paid employees and thousands of volunteers around the world, including Alberta. Landmark is in the business of self-improvement through self-awareness, realized through transformative “breakthroughs” at large-group, introductory training seminars, known as Landmark Forums. “In part, it is to teach people that the values they have held up until now have held them back; that indeed they need a new set of values and this group can provide those new sets of values,” Kent said. “I don’t know of any academic research that verifies that kind of perspective,” he said, adding that some people do feel “cleansed” or “invigorated” by their Landmark training. But others may feel violated by having been pressured to reveal their most intimate secrets to office colleagues. Kent said employee fears of being ostracized if they don’t embrace the Landmark ideology are valid. “What you have to keep in mind is that the people who run these groups are absolutely ideologically committed to what they do,” he said. “Their goal is to get as many businesses, corporations using their ideology and their techniques as possible. Beroset said Landmark training has been endorsed by top American psychologists, and the company has provided training to thousands of high-profile companies such as Reebok, Mercedes-Benz USA and even the U.S. navy. Landmark training, Beroset said, allows people to be “more effective in life. “The people who participate in the programs, they basically have an opportunity to get new skills in terms of communication and effectiveness — things like personal accountability, integrity, responsibility, things of that nature,” Beroset said. Landmark offered Alberta Health Services IT employees free introductory sessions, which in turn promoted the Landmark Forum training courses that cost nearly $650. The documents show Landmark representative Kevin Brown started as a contractor at AHS before becoming a manager there. Brown’s public resumé states he is not only a veteran IT manager, but also a leadership trainer. He declined an interview request. Brown eventually won approval from AHS to pay for IT staff to attend Landmark Forum training as a “professional development” course. Although Landmark is a for-profit company, Brown used AHS internal email to promote the introductory sessions, some of which appear to have been held in AHS offices. There were reports that those who attended the introductory sessions were pressured to attend the Landmark Forums. 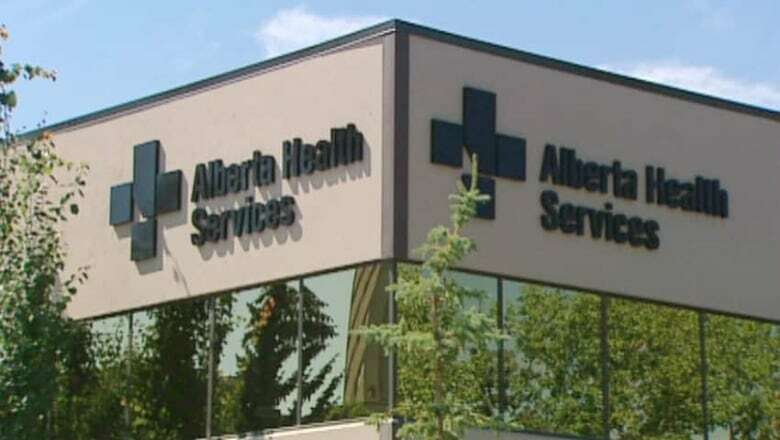 The documents detail the experience of an Alberta Health Services IT employee who had attended a Landmark Forum training seminar and called an AHS complaint line to express serious concerns. The complainant’s gender was redacted from the documents. Wildrose MLA Kerry Towle says an investigation should be done to determine if Landmark is still operating within the Alberta government. The training was “presented as an incredible opportunity and I felt there was a lot of pressure to go because my boss had taken it,” the complainant said, adding that “I didn’t want to appear ‘unteachable,’ so I signed up to go.” The complainant requested anonymity because he, or she, feared being fired. The seminar took place over three days in November 2011. Participants spent 13 hours each day in what the complainant described as intensely psychological sessions, attended by about 200 people — some colleagues, some strangers. The complainant said Landmark volunteers, called “minders,” were inside the conference room watching the participants and controlling the doors. The complainant said participants were discouraged from going to the bathroom. The seminar leader repeatedly encouraged people to stand and reveal personal secrets. “One girl talked about being raped and how her father never treated her the same after that,” the complainant said. The complainant felt pressured to share personal information. The complainant compared one exercise to a form of hypnotism. Beroset, the Landmark spokeswoman, said hypnosis is not used in Landmark training. “People are asked to close their eyes simply so they can be with their own experience and reflect on their own life and their own thoughts, without distraction of looking around at other people and what everyone else is doing,” she said. Participants were encouraged to attend 10 more sessions and pressured to bring more people, including family and friends. Beroset said that in the past three months, Landmark has toned down its emphasis on recruiting. The complainant's manager had taken the Landmark course and subsequently asked staff to book time with her to relate their personal stories. “The caller [complainant] was very uncomfortable with this but followed through with it nonetheless,” an AHS internal memo notes. The HR adviser recommended a “thorough” investigation of the issues raised by the complainant, and others, but little was done. Human resources opened an investigation file, but from the documents it appears no other AHS employees who had taken the Landmark course were identified or contacted. The documents appear to show no one from human resources directly questioned Brown, the manager, about the complaints. The documents show an HR adviser finally conducted an internet search of Landmark and was apparently alarmed, but did nothing about it. 'Somebody should have acted, because it is very clear that there are inherent risks to these kinds of programs,' says sociology professor Stephen Kent. An AHS vice-president eventually prepared a memo for IT employees. Brown was allowed to vet the memo. Human resources staff removed any reference to Landmark. The memo simply encouraged staff to “carefully investigate” any professional development courses offered within AHS. It is not clear the memo was ever distributed. Brown, however, was also required to stress in his internal emails promoting his Landmark introductory sessions that participation was voluntary. “How the hell was this allowed to continue?” said Guy Smith, president of the Alberta Union of Provincial Employees, which represents some AHS IT staff. 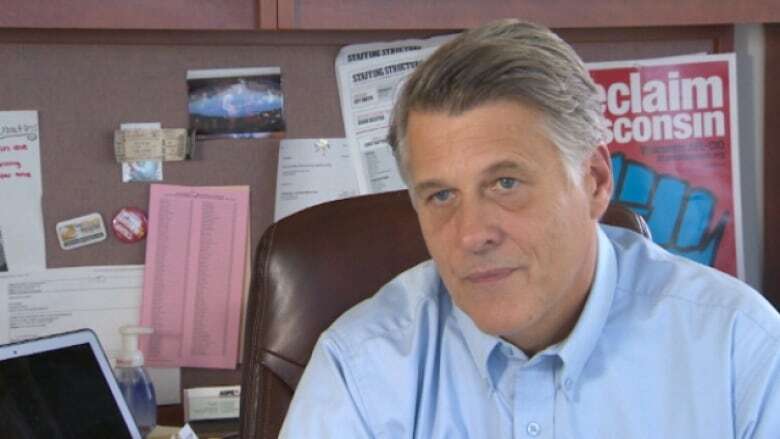 Wildrose member of the legislature Kerry Towle said AHS clearly mishandled the situation in nearly every possible way. "The minute there was a single complaint, a single hesitation to participate in any of this, and once they started to get the feedback of the concerns that the employees had, they should have shut this program down,” she said. 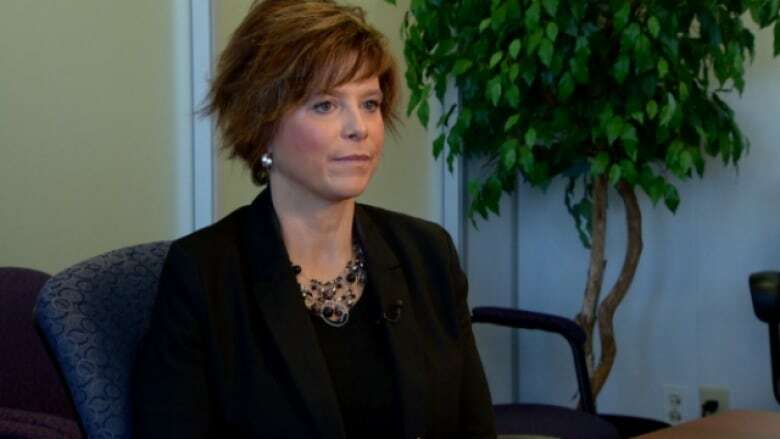 Both Smith and Towle said there should be an immediate investigation to determine if Landmark is still operating not only within AHS, but anywhere within the Alberta government.